When Dietzen’s Carpets & Flooring Carpet store in Fredonia, New York donated coarse ceramic tile, it went to good use. Of course, the tiles were first intentionally SMASHED to bits. The original idea was to have a nice tiled outer layer, for an aesthetic appearance. The end result, as Edwin Lacen suggested, turned out looking like something from a modern stone age family’s patio. 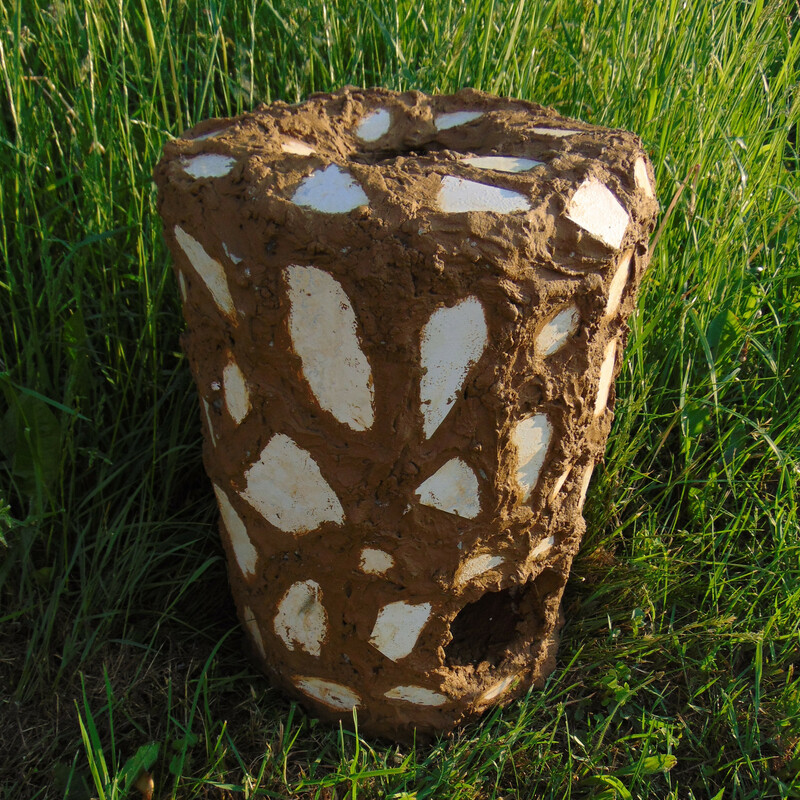 So now we have FlintStove, a practical rocket stove with a tiled exterior.